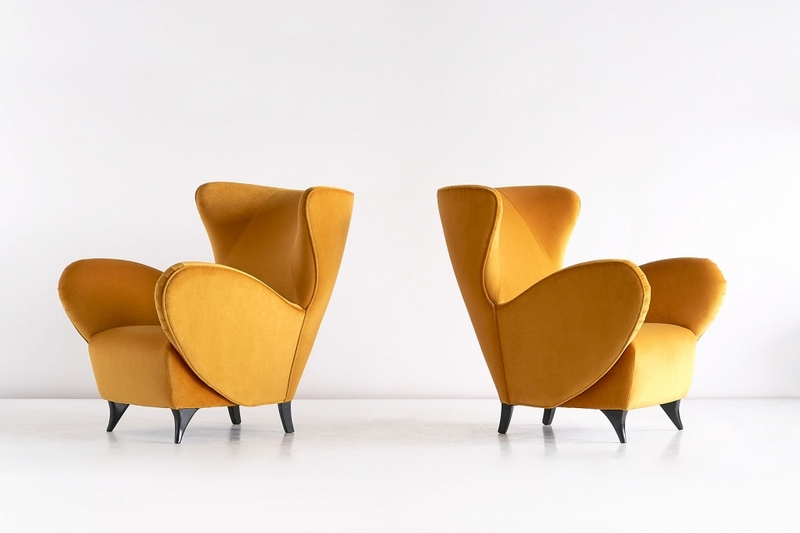 This rare pair of armchairs was manufactured in Turin in the late 1940s and were part of a private Sicilian estate. 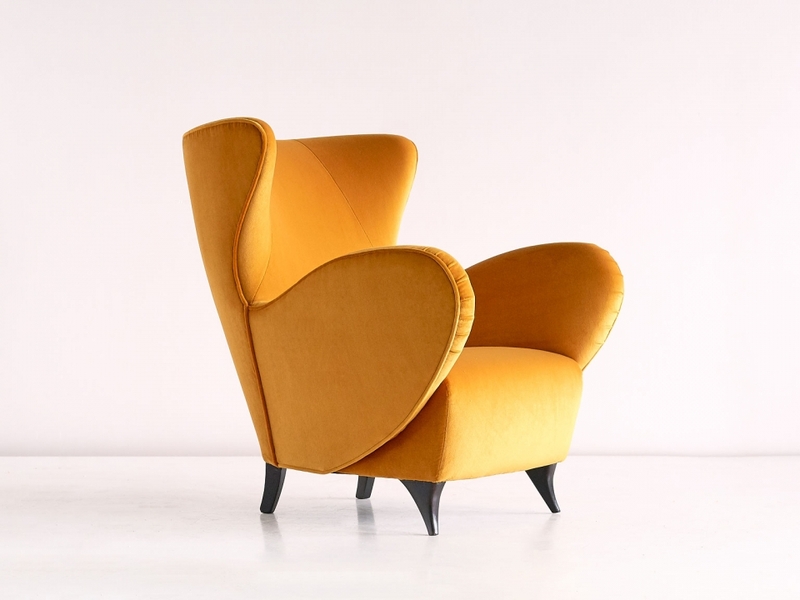 With its distinct shape defined by the pronounced curves, this wingback design is a bold example of the Turin School. 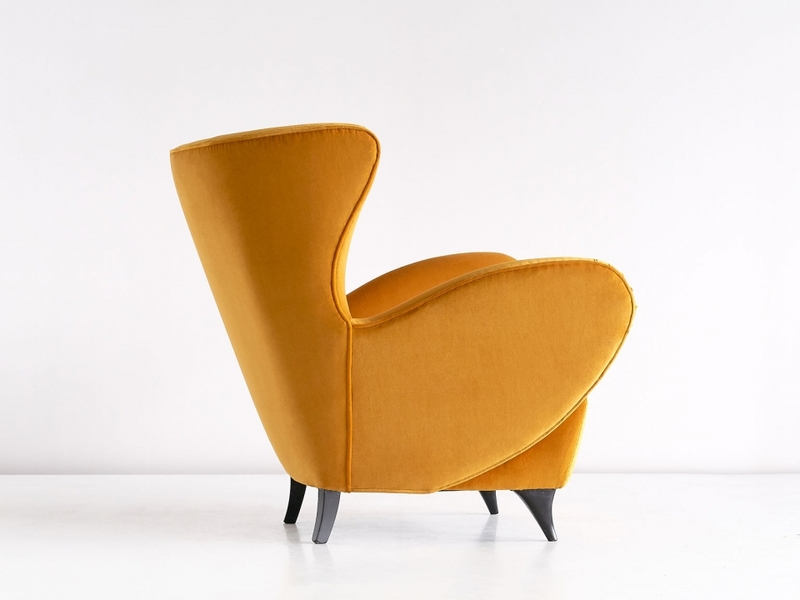 Best known for its iconic exponents Carlo Mollino, Franco Campi and Carlo Graffi, the Turinese designers developed a distinct style within the Italian midcentury design history. 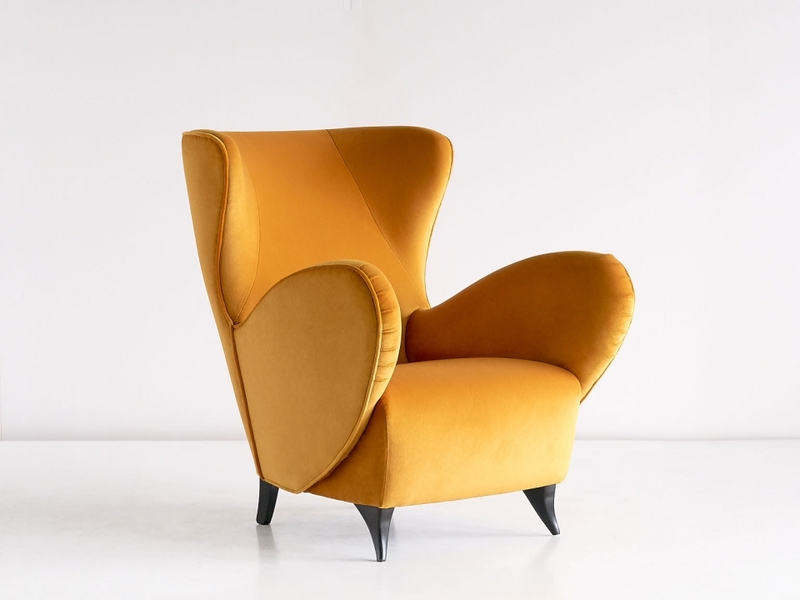 The organic lines and exaggerated shapes are characteristic of this style, and its designs were often inspired by nature and the human body. The designs were always produced by hand by skilled craftsmen in and around Turin. 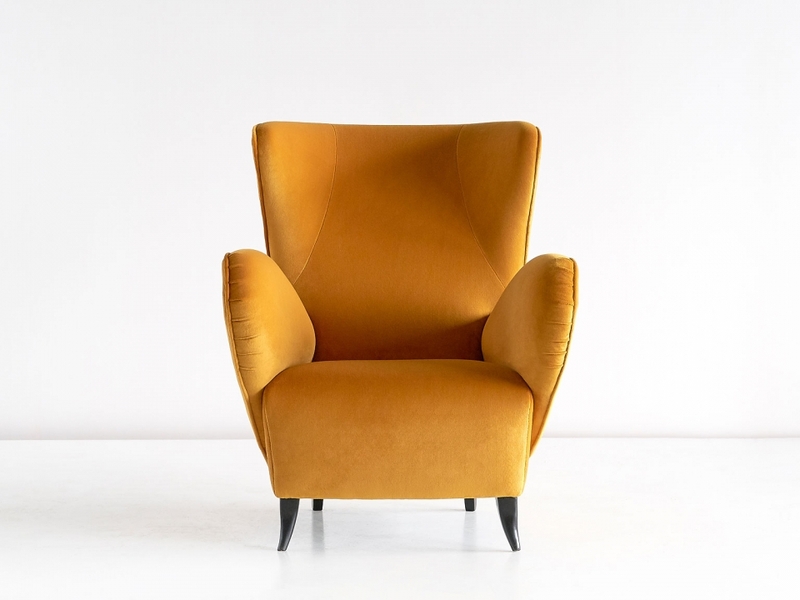 The chairs have been fully reconditioned and newly upholstered in a sumptuous honey yellow / gold ‘Sacre Coeur’ velvet by Créations Métaphores. A sample of the fabric is available upon request. The wooden legs have been refinished. Condition: Excellent. 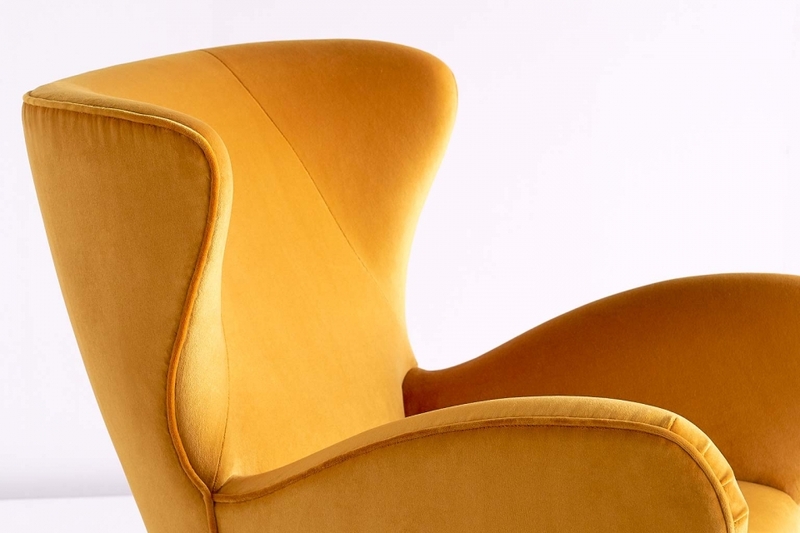 Fully reconditioned and newly upholstered in a honey yellow / gold velvet by Creations Metaphores. The wooden legs have been refinished.